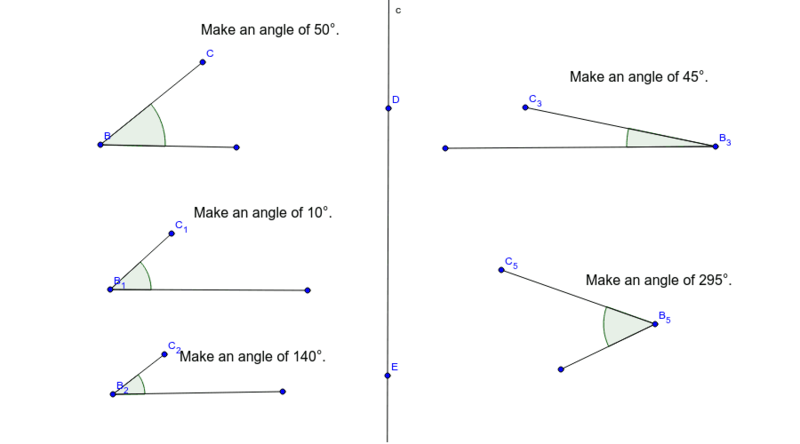 Move an endpoint of each angle to create the angle described. When measuring the angle does it matter how long the rays are? Does the measure of the angle change when you change the orientation? distance between the two endpoints.